This goes out as my final post on this blog. It has been an amazing two years running this blog. I learned a lot, made mistakes, met and made friends with a whole hots of other people. I got the chance to review so many devices, accessories, apps. Over these two years I have been able to form a viewpoint, discuss it, add to it and do so much more. The readers with their comments, the fellow bloggers with their trackbacks and even the emails from everybody greatly encouraged me to pursue this small hobby of mine. This blog also helped me get my jobs, whether Spice Retail or my current one, it’s this medium and this space which allowed me to speak my mind. it allowed me to craft an identity for myself, it got people to hear me out. What started out as merely a passing hobby, has today reached an important milestone. On the 17th August, 2010 this blog and me decided to take the next big step and move to a self hosted solution and get hold of our own domain. This new domain – World of Phones.Net is the first step to taking this hobby further. I request you to join me and an ever-growing team at World of Phones.Net, where we will continue to cover the industry with greater depth and greater detail. From now on all articles will be posted on the new site. This blog will still remain as it is for people to comeback and read the articles here. These articles will be available on the new site as well, but I think it’s best to provide both the options to you, my readers. This blog will no longer allow you to comment, but will definitely allow trackbacks and pingbacks. We’re sure everyone who participated are clamouring to know who won the 16GB Micro SDHC cards we were giving as a part of our 2nd year celebrations. As you know we had a little giveaway this past few days and you had till yesterday midnight to take part in it and win a SanDisk 16GB Micro SDHC card from us. Well, we had a great response from you, we got a lot of wishes from you all and we thanks each and everyone of you for wishing us. For a chance to win one of the two 16GB Micro SDHC cards all you had to do was to post this as a comment on the post or on our Facebook page. – “Happy Birthday adityasphones.wordpress.com, now gimme my 16gig card!”. Entries with this slogan in the comments or on our facebook page qualify as valid entries. And it was just one entry per person! So no matter how many times you must have posted, you’d still be counted as one entry for one 16GB Micro SDHC card. Before we announce the winners we thought that we’d get a few things clear so that you know how we are going to be doing this. 1. All valid entries will qualify for the first round in the randomizer. 2. Second round will not include the name of the person who won in first round. 3. Winners have 48 hours to provide us their postal address and contact details, failing which the next person in that list will get the prize. 4. The Micro SDHC cards are original SanDisk cards in retail packaging (Indian) and they will be mailed upon receiving your contact details, etc. 5. Please have relevant documents prepared and provided to me(if applicable) so you can receive the shipments in your city/state/country. We’re two and we want to celebrate it with you! 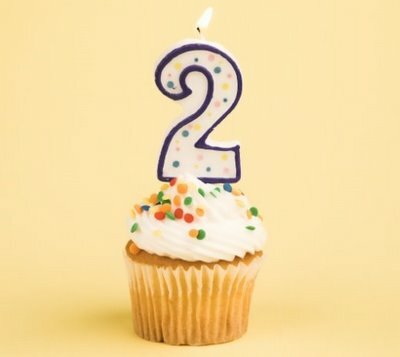 Yesterday, this blog turned two and we promised you something exciting! 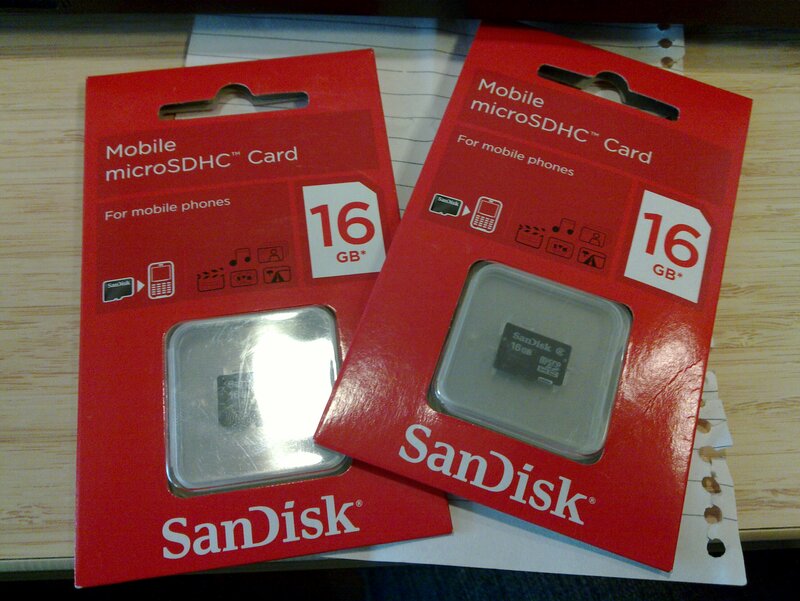 A few hours ago we even let you know that the giveaway is going to be – two 16GB Micro SDHC cards from Sandisk! We are two!!! A lot has changed since then. The last time I celebrated a birthday for the blog, Nokia had just launched the N97. It was supposed to be the mother of all devices from Nokia.It seemed that Nokia was poised to takeover the world. In between that and today, a lot has changed. Nokia and its fortunes have changed for the worse. Samsung, Apple and BlackBerry have emerged as the new top dogs. It was also the year when I thanked Ricky Cadden aka Symbian Guru and Darla Mack and many more who I did not name. This time let me name these people – Rita El Khoury, Micky Aldridge, Varun Krishnan of Fonearena.com, Dhruv Bhutani, Yash Maheshwari who has recently joined Zomgitscj.com. I would like to thank all the others who I am forgetting to mention. Clinton Jeff and Vaibhav Sharma thanks so much for all those conversations over the internet and in person. You’ve certainly helped me grow in terms of my knowledge. WOMWorldNokia – You guys rock! I’ve had nothing but joy in interacting with you. Everybody in the office is passionate about their work. A lot has changed since the last birthday for this blog too. The theme has changed, there is a facebook page. I’ve also started writing a little less, work hasn’t allowed me to put in as much time. I’ve also started branching out to some editorial stuff. It no where as good as what the more established bloggers are writing, but I’m sure I’ll get there soon. There’s one person I have to thank – you the reader. This blog is nothing without your visits, your comments, your views. I am thankful to you for giving me the encouragement to continue this far. The manufacturers and the app developers, Thank you to you too for providing me with the devices and apps to review. You have been supportive with my views, taking in the positive comments and paying attention to my negative comments. To celebrate these two years, I have some things planned. A small giveaway, details of which I will let you know soon enough. Update: I must also thank Bloggers’ Mind. Everybody there are just as hardworking as WOMWorldNokia! Thanks for being with this blog in terms of your support and belief.